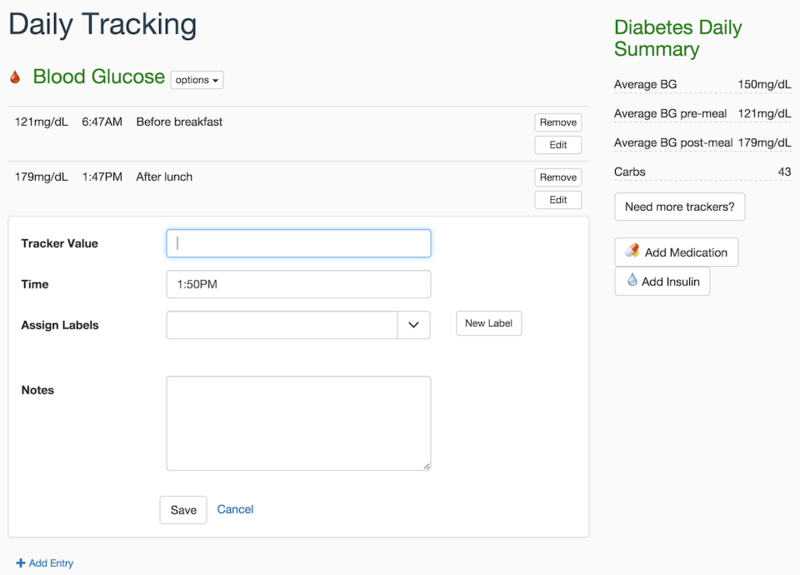 Diabetes and Health Tracking Track blood glucose, insulin, carbs, exercise, medications, symptoms and everything else with custom trackers. 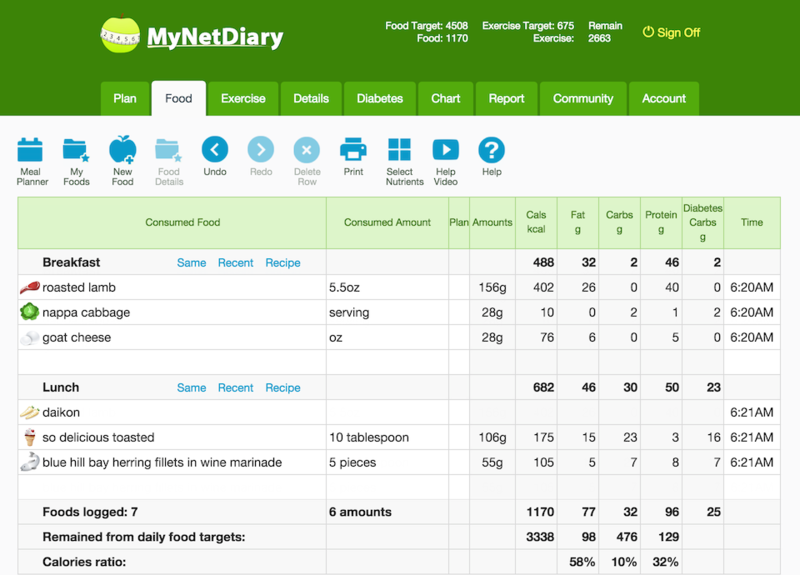 Best Food Diary The easiest, proven tools for diet planning and tracking, huge 705,000-food database. Instant food search, quickest food entry, immediate analysis. 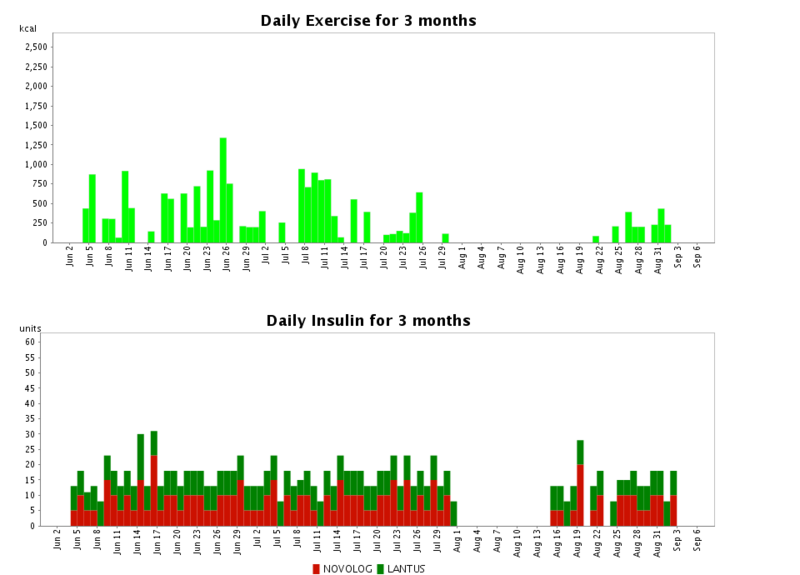 Understanding Diabetes Data Correlate diabetes and health data with labels, find patterns and dependencies in Day Parts report. 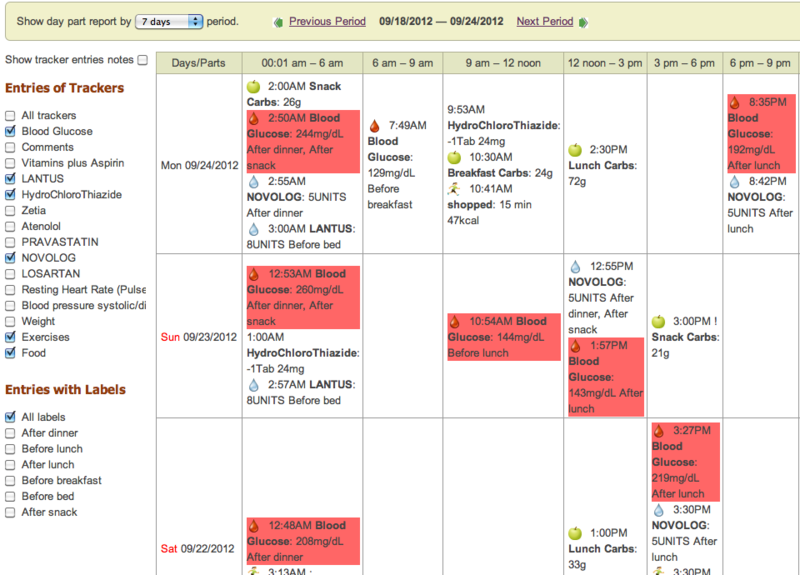 “The Big Picture” with Charts See diabetes and health trends with charts and reports. E.g. 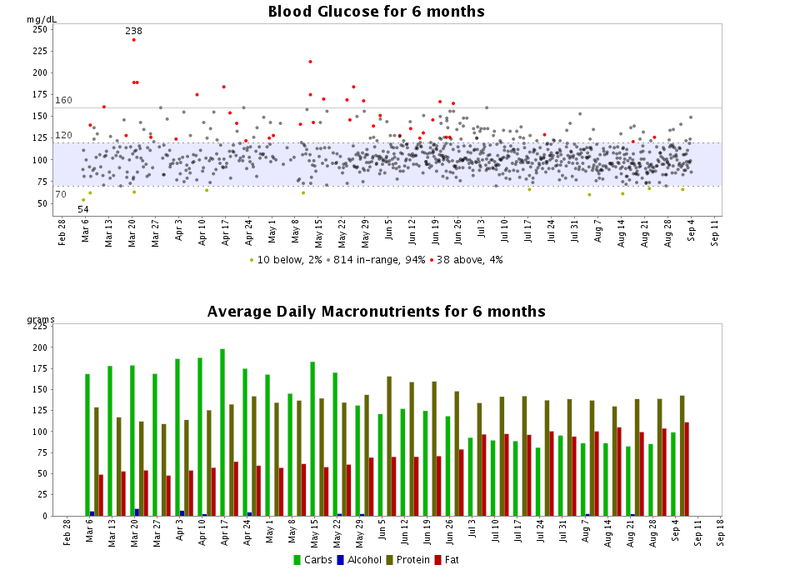 notice how blood glucose above normalized after reducing carb intake. More Charts and Analysis Specialized charts and reports help you analyze how diet, exercise and medications influence health.